Red Bliss SS2 has been around for a while for a good reason. While other bridal shops (BS) come and go unable to sustain their business, Redbliss continuously better themselves to maintain a strong position in the bridal industry. The SAs are extremely friendly and trained to serve you to the best of their abilities. Great marketers. However there are some comments that the SAs may appear to be trying too hard and they talk too much sometimes. It is a very popular choice amongst the people I know and also friends of friend. The shop is spacious and comfortable to be in. It is an end lot which has a comparatively larger glass window display of wedding dresses and they are stunning. Usually pre-wedding packages allow you to select all the gowns except the designer range which you have to pay an additional amount depending your choice of gown. It could go up to RM7k. Extra cost will be incurred if you decide to change the PS date or your gown selection. BTBs specifically point out MUA Beeky as friendly, dedicated and professional. You have to pick the PG carefully though. One of the ways is if you like the photo on display, ask your SA for the PG's name. Inform them about your requirements, what elements you want to be in your pictures. 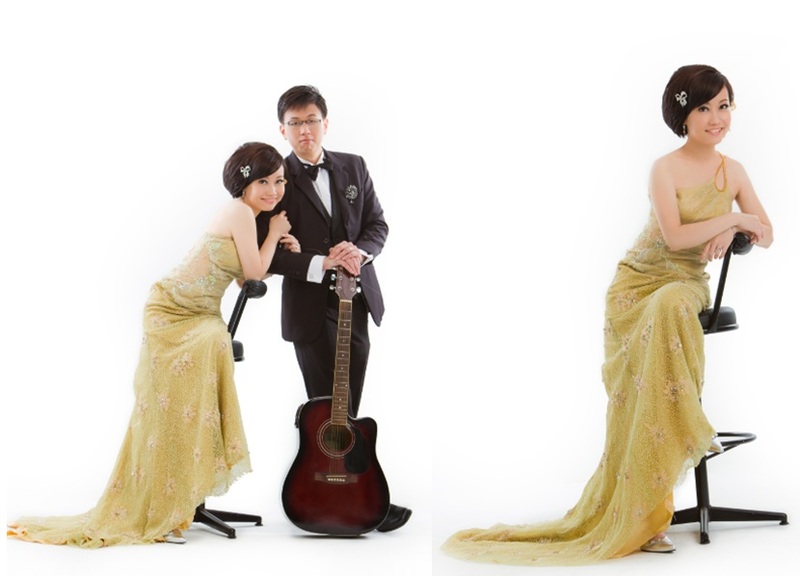 During the photoshoot, if you are uncomfortable with the backdrop or poses, do voice up. Otherwise the result may not be as you would expect. BTBs recommended PG, Wilson. His work has been described as clean, artistic and natural. Others commented the PG was unskillful. RB provides an MTV DVD which is a video that records all the "behind the scene" + photoshoot events. 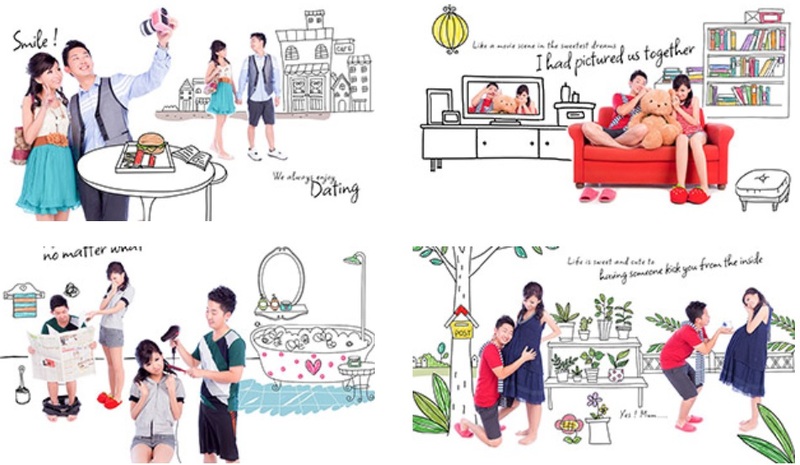 They also specialize in "The Love Story Book" photography style and this differentiates Redbliss from the rest as they are going for natural, fun, real and witty. They photograph your love story as a commemorative memoir. PG: Leon - Funny guy, I am happy with the indoor/ Redbliss private garden shots. the outdoor (Lake Gardens KL) pictures were below our expectation. Some of the images taken were not properly angled, overexposed and the background looks too noisy. Videographer (VG): KT - He patiently recorded our photo-shoot process and compiled a wonderful video (behind the scenes) for us. MUA: Beeky - At first I thought the makeup was too thick and and it cracked over time. After the images were produced, I realized it did not show at all and the makeup looked good. She is very friendly, takes pride in her work and does it with commitment. SA: Carmen - Extremely professional young girl. She informed me every single detail and gave recommendations on the dresses to pick. She was accommodating when it comes to the compromise we requested. The reason I chose RB during the Midvalley bridal fair because I thought Carmen was not pushy and I would be happy to have her plan my photoshoot. Thank you very much for giving us such a great experience during our photoshooting session. We have enjoyed and lots of laughter during the shooting. Special thanks to Ms. Claire for servicing us & given best price & service to us. 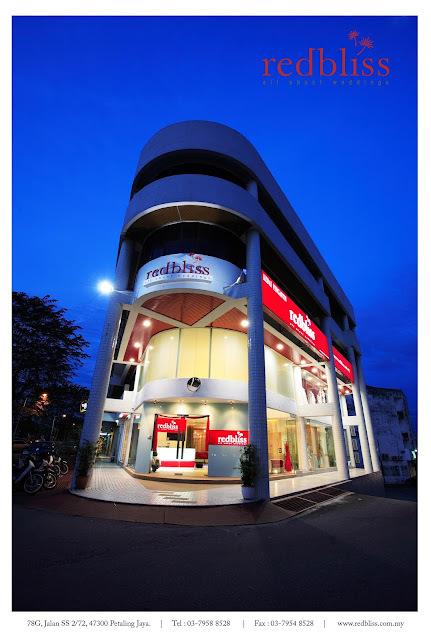 My photo-shoots done at Redbliss. I signed up the packages RM 2388 with 3 gown, 40 photo, 1 big album, 3 x 8R photo, and 1 table photo. If you pick normal dress range price around 4k and up for the package but if you want to choose designer range for actual day and studio shoot price can go up to 7k… and most designer gown not allowed for outdoor shoot. Their pictures can also choose special effect or natural ones. You can try the gowns without signing any package. Their dinner gown for designer range is very limited if you looking for modern design then you might want to skip this….From designer range got a few mermaid that can fit me nicely (plusize). Address : No.78, Jalan SS2/72, 47300 Petaling Jaya, Selangor. Abbey Choo's work is amazing. I heard she's fully booked. The page jumps straight to the comment. It should display the beginning part of the post. You are right Susan. If given a second chance, I would have chosen Victoria instead of Red Bliss. RB is good but I figured victoria is better from the comments received. Anyone else has other experience, feel free to share. We took the package from RB. Was scouting around Mid Valley Weddingfair and found that RB provides video of behind the scene, I thought it was quite special and will be fun to watch back later. So just signed up with them. OUr PG was Wilson. He did a fantastic job. We liked the photos heaps. 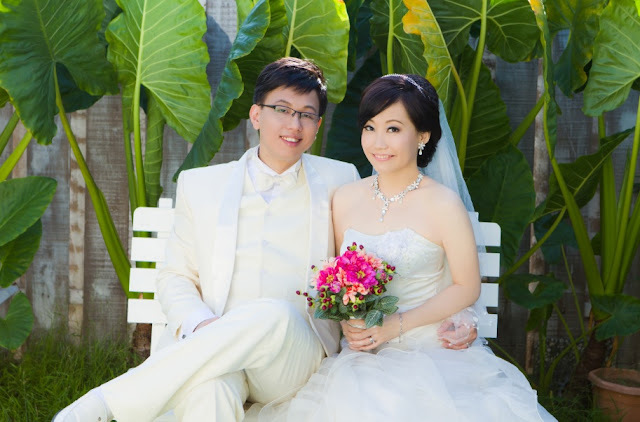 Recently, I had sign up wedding package with Red Bliss for RM 4000 plus at the wedding expo in KL. The reason why I signed up with them is because RB is a long established company in this industry. After signing up with them, my fiance and I visited their shop and was disappointed with their dresses which is not up to trend. But we had no choice as we already signed up. Now the only thing is we hope the pre wedding picture turn out good but unfortunately, is worst than expected. No offence but outside freelance photographer can take much nicer picture. The advantage of this bridal shop is they will try their level best to service customer and they are transparent towards customer. So to whoever out there that wish to sign up with this bridal shop, pls think twice. If you are looking for western gown or more up to date wedding gown/evening gown, definately this is not the right place. But if you are looking for wedding gown like layer cake and super duper princess style or the older fashion style then pls go ahead. Plus the photographer is not patient, no doubt that he's friendly. After looking at the picture, from what I see is the photographer take our picture is for the sake of taking (he is paid for doing it), he do not try his best to deliver nice picture. may i know who is your photographer?